Blog — Oak + Honey Event Planning Co.
We loved working with Erin and Justin from our consult with them. The wedding had many personalized details from the bagpiper to the magician at the reception. The color palette included touches of dusty blue, greenery, white, marble, and gold. Justin's sister Jessie was engaged. She had reached out to Justin and I about taking a trip to Seneca Lake (Finger Lakes) to help her and her fiance' pick out wedding venues. We picked a weekend and stayed at our favorite hotel on the lake, Watkins Glen Harbor. The week going into that weekend, there were two very weird occurrences. I was getting my hair done and telling my stylist what I was up to that weekend. He asked if I thought Justin was going to propose. I flat out said not a chance. His sister had gotten engaged 3 months prior, we were in the midst of building a home, and Justin had started a new job. That same day, one of my very close friends had texted me saying that she had dreamt Justin had proposed. Yet, I was still not convinced one bit it was even around the corner, and with everything going on, I was okay with that. We got in late Friday night and he was as cool as a cucumber. We had a great dinner and went to bed early. In the morning, we worked out and got ready. While I was getting finishing getting ready, Justin suggested we get some champagne and have some mimosas! He comes back to the room with an expensive bottle of champagne (I had to clue him in on such) and asked if he even looked at the price and we should probably exchange. He then stated who cares, I charged to the room, so I thought he's being fun, let's do this! After I finished getting ready, he asked me to sit out on our rooms balcony to finish the champagne. He starts by saying, we are not only out here for Jessie and Jeremy to celebrate their engagement and help them look for venues,but. I, of course not looking at him, go on to tell him the story of my girlfriends dream and stylists guess. As, soon as I turn my head, I see him down on one knee with tears in his eyes. I said yes and couldn't wait to tell my mom! Little did I know there was another surprise to come! I face timed my mom right away, who was driving, I thought nothing of the fact she answered and she had told me she was on her way to the grocery store. Cool as a cucumber as well, as you will shortly find out. I then made a couple other calls to my dad and close friends and we headed to meet Jessie and Jeremy. They were outside waiting for us. Once we united with them and had a moment of celebration, we walked around the corner to the other side of the winery. To my absolute surprise was my sister, my mom, and his whole family. We spent the day all together going to the different wineries celebrating. It couldn't have been any better! Hire Oak + Honey, so you can enjoy your day with zero worries. Hair & Beauty: Beauty Therapy // Donuts: Peace Love and Little Donuts // Cigars: The Cigar Guys // Entertainment: Cleveland Music Group // Magicians: The Alans Live LLC // Floral: Twig Florals // Officiant: Our Wedding Officiant // Rentals: L’Nique Specialty Linen // Photography: Kayla Coleman Photography // Invitation Suite: Minted // Day of Stationery: Baci Designer // Venue: Lakewood Country Club // Wedding Planner: Oak + Honey Event Event Planning Co. 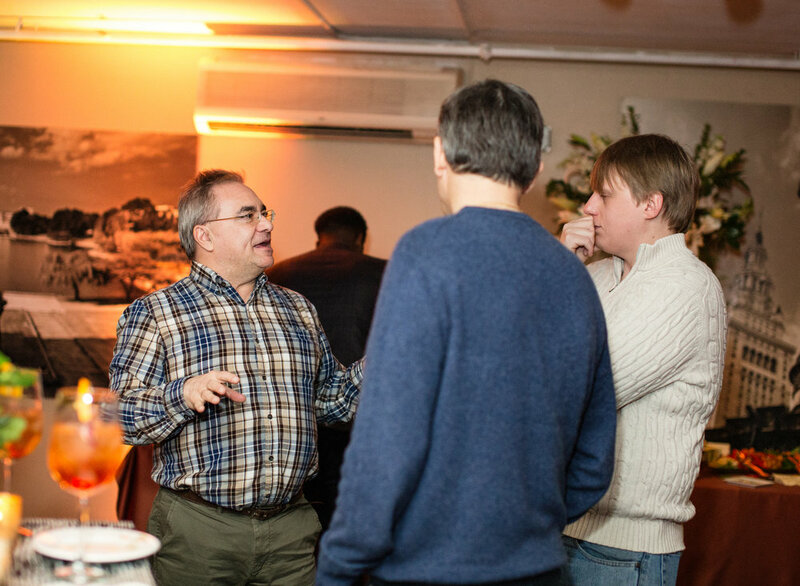 I think anyone who attended Thursday Therapy in March can attest that the event was fabulous! All the wedding pro sponsors truly came together for a killer event. We’d like to thank our sponsors for the March event because, without them, this wonderful networking opportunity wouldn’t exist: Plantscaping and Blooms, Marigold Catering, Cleveland Cookie Dough Company, Luna Bakery Cafe, Renee Lemaire Photography, Company Car & Limousine, L’Nique Specialty Linen, Borrow Curated Rentals + Design and All Occasions Party Rental. If you’re a wedding pro in the greater Cleveland area, we’d love to see you at a Thursday Therapy event in 2019! For more info and to RSVP, click here. Wedding Pros from Northeast Ohio joined us at Manifest Beauty Lounge, who doesn’t love a salon with a bar in it! Manifest Beauty Lounge offers services for men and women will sipping a crafted cocktail. They also offer onsite wedding day services as well. 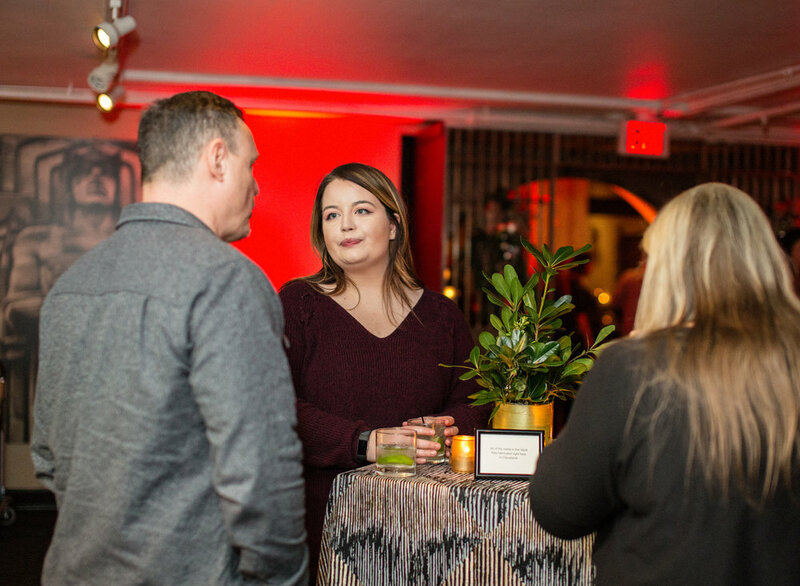 We’d like to thank our sponsors for the February event because, without them, this wonderful networking opportunity wouldn’t exist: Manifest Beauty Lounge, Cleveland Field Kitchen, Candle Studio, Milk Shop Photography, L’Nique Specialty Linen and All Occasions Party Rental. 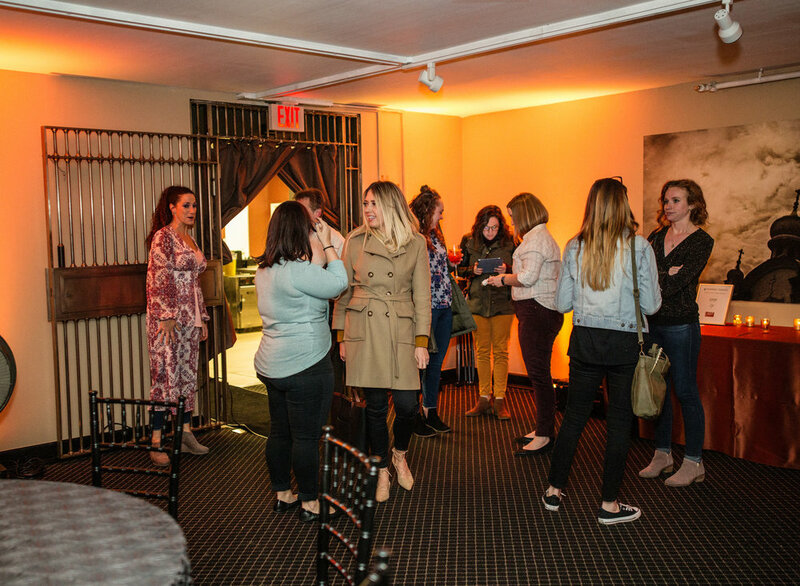 In January, wedding pros from around the Cleveland area kicked 2019 off at Crop Bistro’s vault for the Thursday Therapy event. We really kicked the year off strong! 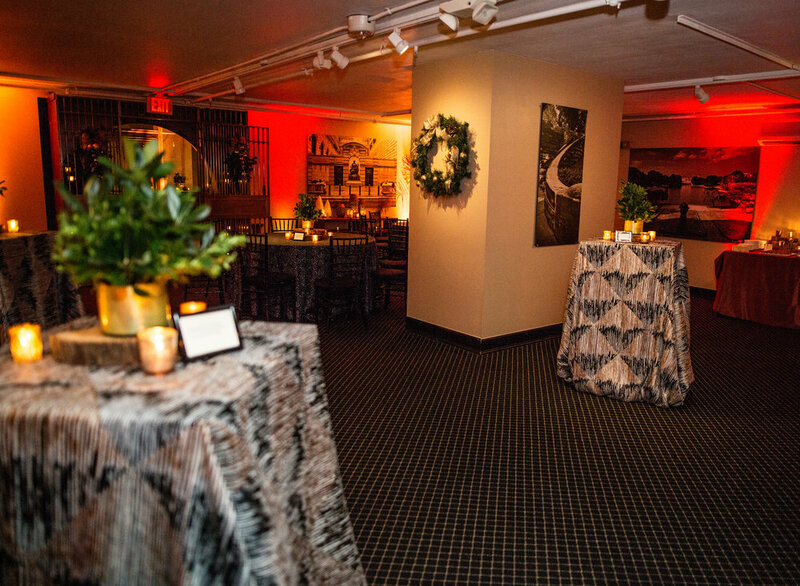 We’d like to thank our sponsors for the January event because, without them, this wonderful networking opportunity wouldn’t exist: Crop Bistro, Crystal Kay Photography, and L’Nique Specialty Linens. 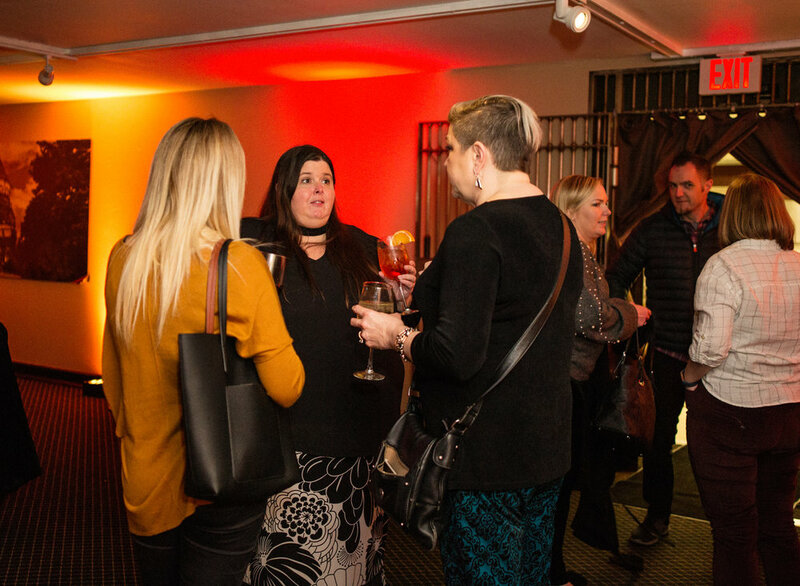 We’ve loved seeing so many old + new faces at our monthly events, and look forward to meeting more pros in the upcoming months. Selecting bridesmaids’ dresses can be a lengthy process and is always one full of opinions. With so many styles to choose from and aesthetics to consider with the overall look and feel, brides and their bridesmaids have tons of options to choose from as they create the perfect bride tribe vibe for the big day. We reached out to the ladies at The Dress Bridal Boutique to give some insight on the style and trends they see emerging for the upcoming wedding seasons. What new trends do you notice emerging for the 2019 and 2020 wedding seasons? Things are definitely moving away from the bright, neutral palettes and airy chiffon that has been popular for so long. And we aren't seeing the gold and rose gold sparkle anymore. We’ve noticed trends edging toward warmer and richer colors, like rust, navy, wine, and forest green. The material preference is shifting toward crepe. We’re also seeing the continuation of the ombre trend for bridal parties and love that it gives a unique take on the wedding color palette. The bride will ask their girls to shop in a specific hue but then give them a choice on which shade they feel they look best in. Print or heavily beaded gowns also continue to make a statement for brides seeking to stand out. These style choices can really help set the tone – from hippie chic to total glam, a statement gown on your bridesmaids can make a big impact on the overall aesthetic of your day. Are there new color palettes and styles that are surprising or notably fresh? The new palettes are definitely leaning toward a vintage feel. It’s a nice reprieve after the soft tones that dominated for so long. We’re also really loving some of the bold teal and purple choices we’re seeing. What advice do you have for brides looking to be truly unique in their bridesmaid style? Define your wedding style – know what vibe you’re looking to create and be true to what you want. Each bridal party is unique and each couple has a vision for their wedding. When selecting gowns for your bridesmaids, choose something that fits your wedding design and makes your girls feel beautiful and comfortable. How do you recommend brides and bridesmaids to balance their wants when looking for a dress? We know that a bride has a vision, but her girls may not love the style or color she does. Do you have tips for navigating the process so that the bridesmaids love the way they look and the bride stays true to her aesthetic? We always start by consulting with the bride to learn about her goals and the vision she has for her wedding. We consider both color and fabric choices and how they will impact the overall aesthetic of her day and truly focus on the bride’s goals. For the most part, we find that bridesmaids are agreeable to the bride’s wishes and really care about what she wants. 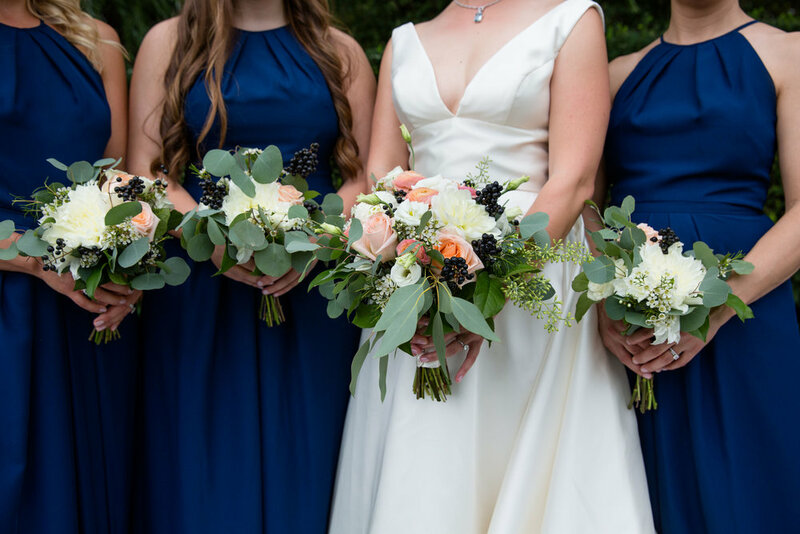 A lot of brides follow the practice of selecting a color (or color palette) and then allowing their girls to select the dress style they feel most comfortable in. In cases where the bride wishes to be truly accommodating to her girls’ preferences, she may give them a general guideline (like flowy, vintage-inspired florals) and then give them a bit more free range as they find the dress they really love – and actually will wear again. Tell us a little bit about The Dress Bridal Boutique! We offer brides and their bridesmaids a true shopping experience in our store. When you book an appointment with us, you can expect a fresh, vibrant approach to your dress search (not to mention the champagne!). Our staff is knowledgeable about the latest trends in the bridal industry and are expert stylists, so they can really help bring your vision to life. Find them on Instagram @thedressmedina. 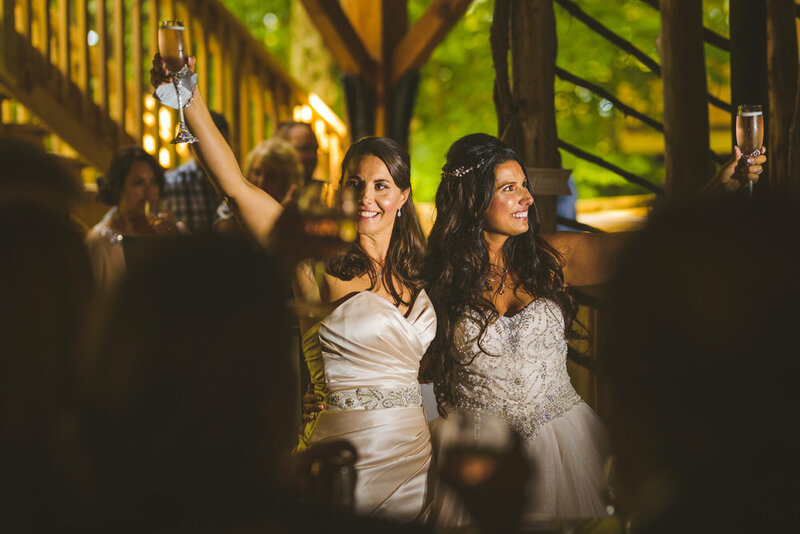 We loved working with Jaime and Amanda to create their dreamy woodland wedding at The Grand Barn at the Mohicans. With a focus on simple sophistication and ethereal elements, the pair’s goal was to create a memorable and intimate day. 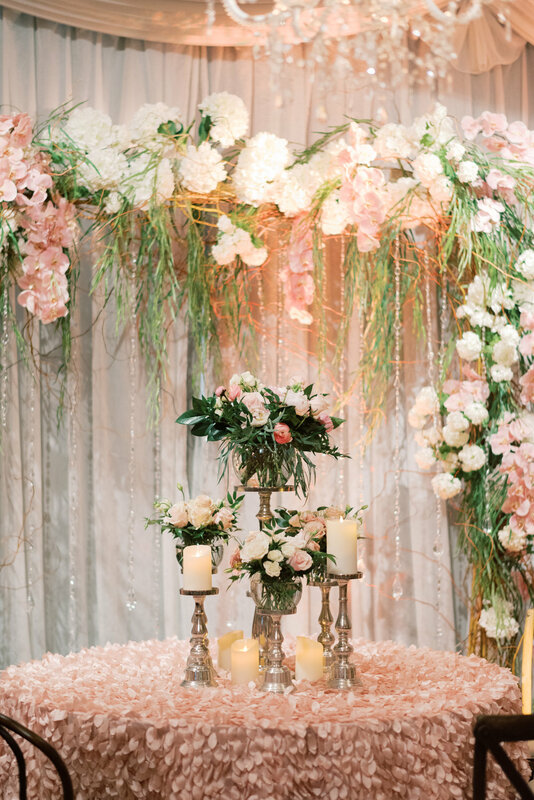 They chose a soft pink palette that was perfectly understated by the gorgeous floral work of Amanda Joy Events and the added aesthetic enhancements provided by Solus Lighting helped to create a whimsical effect. One of our favorite details was the couple’s take on the traditional sand unity ceremony. Instead of just two colors - one for each woman - the pair invited their parents to contribute their colors to the vase as well. This representation of how each woman was impacted by the presence and guidance of her parents through her life spoke volumes to the value they place on family. Absolutely fun-loving and obviously best friends, each bride possessed her own unique personal style which we worked to carefully weave into the day’s design. One common theme that they agreed upon with from the start? The inclusion of their sweet fur baby, Grover, who preceded them down the aisle. Surrounded by family and laughing all the way, Amanda and Jaime’s celebration was as sweet as they come. It’s no secret that stress is a part of our lives. From our jobs to our relationships, stress can seem unavoidable. Add wedding planning into the mix and our internal stress-meter can reach capacity. So the question is, how do we respond? How do we cope? And how can we equip ourselves to be strong enough to handle it? For some, the answer can be fitness! Thank you to our friends at Harness Cycle (especially instructor Katie Spies) for the expertise and advice in this blog post! How does fitness help relieve stress? One of the most studied ways to relieve stress and anxiety is the practice of physical activity. According to Harvard Medical School’s Health Watch*, stress doesn’t just have an effect on our minds, it affects our bodies, too. I’m sure you’re familiar with the iconic line from Legally Blonde, where Elle Woods so boldly declares, “Exercise gives you endorphins. Endorphins make you happy. Happy people don’t kill their husbands. They just don’t!” Well, Elle was right. Exercise does release endorphins, and it reduces the levels of stress hormones in your body including cortisol and adrenaline which contribute to the heart beating fast, sweaty palm feeling associated with stress. Exercising regularly also helps us look and feel our best, leading to an increase in self-confidence and self-worth. Let’s face it, though. One of the toughest parts about deciding to add fitness into your daily routine is actually taking the first step. Is it easier to sink into your sectional with a glass of wine after a rough day? 100%. But if that’s your usual coping mechanism and you still feel stressed and anxious afterward, it might be time to switch things up! We fall into comfortable habits because that’s all we know, and it’s what feels safe to us. So while working out may feel like a chore at first and may push you out of your comfort zone, take a chance on yourself. Exercise your power. It’s in there, you may just have to sweat a little to feel it. And after one class- whether it’s yoga, spinning, running, boxing, lifting weights, or Zumba, you will feel a difference. I hope that difference becomes a habit. And I hope that habit becomes your new routine. So it’s not just something you do to feel good, it’s something you do because you look forward to it. Beyond helping you to look + feel your best, how can a regular fitness routine benefit you pre-wedding? I’ve seen it, you’ve seen it. Shedding before the wedding. That mindset can go one of two ways. One, you look forward to your regular fitness routine because it keeps you balanced and helps you relieve some wedding planning stress. Or, you see this fitness not as a routine that helps keep you anchored and grounded, but as something you have to do in order to look good for your wedding. The problem is, not allowing yourself to enjoy exercise can be a stressor all on its own. Instead of allowing for internal healing, you view exercise as the only way to achieve outward confidence on your wedding day. You’re placing the value of exercise solely on the physical appearance it provides. But it is so much more than that! Having a routine that you genuinely enjoy takes the guesswork out of things. By using fitness as a way to prep for your wedding day, you will benefit from physical changes. But more importantly, you will show up in this next phase of your life grounded, self-confident, and empowered to grow. Because it’s not just about looking your best, it’s about feeling your best. Harness Cycle, for many of our riders and team, has become a constant in our lives, a space that is uplifting and energizing. Creating your routine pre-wedding will not only help you to look and feel your best, but it will be an anchor as you experience a major life change. How does a regular fitness routine impact a relationship? What is an easy way for couples to implement a routine together? Ultimately, when you feel your best, it’s not just you who feels those good vibes – those around you can sense it as well! I’m not saying people who exercise are better people, partners, or friends, but I think whenever you take time for yourself to reset, recharge and stay grounded, it can have a positive impact on your relationships. It comes down to you feeling your best, not for your significant other, but for yourself. That kind of “me time” is not selfish; it’s one of the most important things you can do for yourself. How can you give love when you lack self-love? How can you give time to others when you can’t give time to yourself? You have to refill your cup first. If your cup is full of stress, you’ll spill stress on those around you. If your cup is full of doubt and self-loathing, those will run over and affect anyone who is a significant part of your life. But when you fill your cup with good things – gratitude, love, compassion, balance – you can share those good things with those around you. That not only strengthens your relationship with yourself but with those around you, especially those you love. It may only take forty-five minutes on a stationary bike to fill up that cup, but if you can look forward to that as part of your routine, it can change your entire perspective. When it comes to implementing a fitness routine with your significant other, focus less on doing something together and more on encouraging each other to find something that works for each of you. Your partner might want to get swole and you might want to hit up the treadmill, but that doesn’t mean you can’t meet up at the gym together. Or at Harness, we cross train with other groups in the area, especially with our own Running the Bridges every Wednesday. So you can hit up a Harness ride while your partner runs. Even getting involved in Cleveland Plays, where the workout is less about the actual workout and more about having fun and being part of a team. Most importantly though, it’s about supporting and respecting each other. And as age old saying goes… ‘til sweat do us part. Last week, wedding pros from around the Cleveland area gathered at Event Source for the Thursday Therapy meetup. This was the last mixer of 2018, and we closed out the year strong! We’d like to thank our sponsors for the December event because, without them, this wonderful networking opportunity wouldn’t exist: Event Source, PearlFlower Catering, Plantscaping & Blooms, Too Much Awesomeness Photography, and Company Car and Limousine. 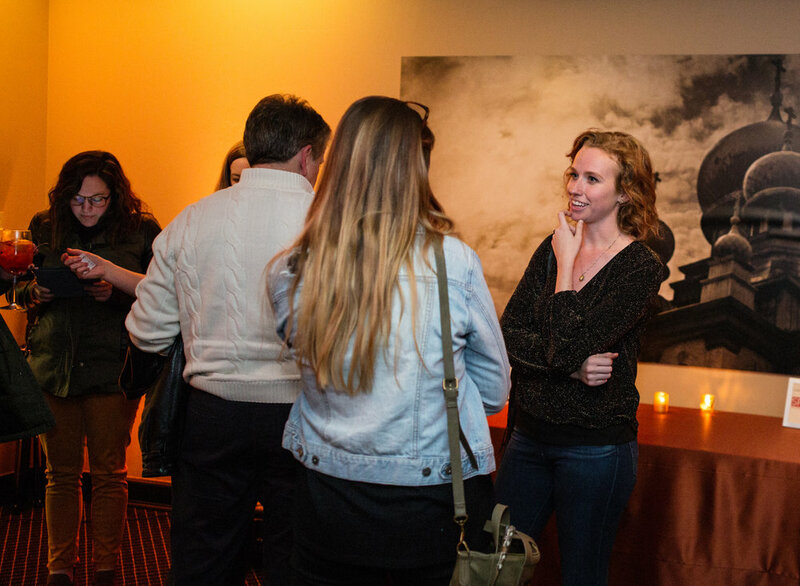 We’ve loved seeing so many old + new faces at our monthly events, and look forward to many more in the next year. Here at Oak & Honey Events, we love it when a couple pulls us away from Ohio for a dreamy destination wedding. 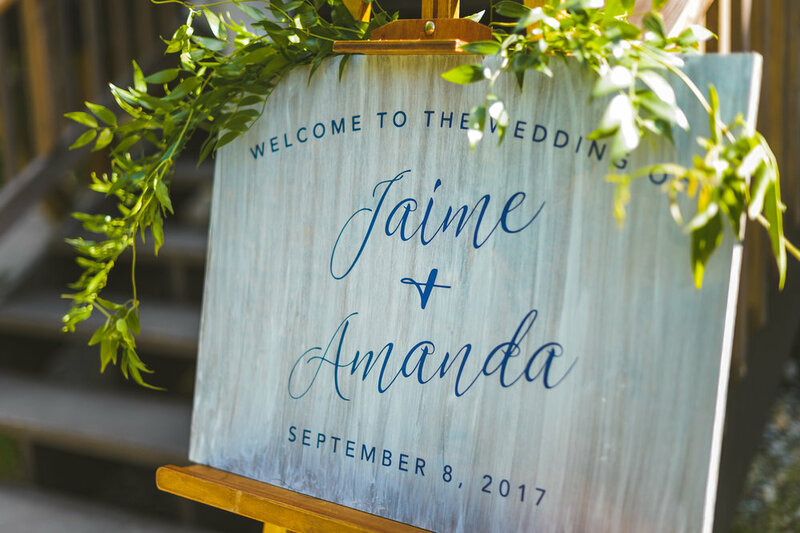 In July, Kelly + Tyler brought us to Hilton Head, South Carolina for their wedding that was full of boho details set on a white, sandy beach.